Hillary and the Democrats have created a culture that celebrates bullying. All you have to do is disagree with Hillary and you are open to bullying, violence, vandalism and more. 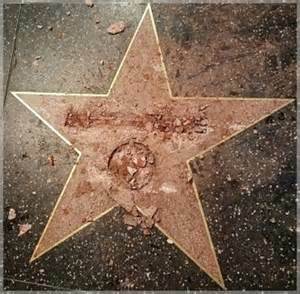 In Hollywood a Hillary Brown Shirt destroyed public property by destroying Trump’s star on the Hollywood walk of fame. Once the star was repaired, a homeless woman began camping out to protect it. Tis is only one recent example. I have pointed out many others before. How can any decent American support Hillary knowing this is considered acceptable by the bullies who support her. 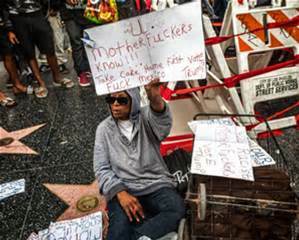 A vote for Hillary makes you no better than thugs who would attack a homeless woman.